In my neck of the woods we marked the beginning of the summer season by creating the first potato salad of the year. We looked forward to its creamy goodness and just forgot about all the calories. We usually made the potato salad we knew as Grandma Faye’s potato salad—a real classic made with only potatoes, eggs, onion and mayonnaise. But as you’re beginning to plan those summer picnic and barbecue meals you may want to look at a variety of potato salad recipes. Or maybe your clan prefers the cabbage slaws and cole slaw recipes. The cabbage provides healthy vitamin C and whether you choose a sweet or savory recipe, the crunchy goodness is always a treat. Nuts and raisins are great additions to slaw recipes and once in a while you can add some veggie color from carrots or red, green or orange peppers. Then we come to the heartier pasta salads. You can add almost any vegetable to pasta to make a salad that either serves as the centerpiece of a summer meal or that makes a welcome side dish. Add some protein in the form of cooked chicken or shrimp and you have a main dish! Pasta salads are filling and satisfying and there are literally thousands of recipes to choose from. Looking for fewer calories and something sweet? Try some of these delectable fruit salads. Why not try a peach and berry salad, or something unusual such as watermelon and feta salad? Almost any fruit that is in season can be added to a fruit salad and for dressings try a bit of lemon yogurt mixed with whipping cream or sour cream and brown sugar for a tasty change. Of course fruit is always good with nothing on it at all. 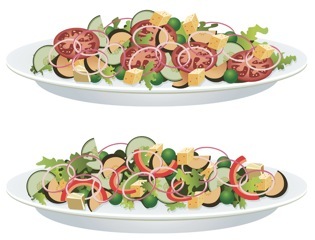 Other low calorie summer salads include chicken and pineapple salad with cashew nuts, Mexican salad featuring corn, tortilla chips and cheddar cheese, and finally a greek salad with lettuce, cucumbers, feta cheese and olives. Any salad based on a variety of greens and adding crisp vegetables can be made low-cal by using a light dressing. Maybe you’re looking for quick and easy summer salads, if so, try these. 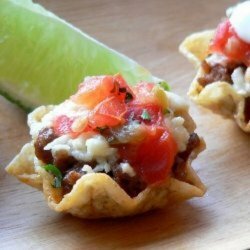 And when feeding a crowd try these favorites. Each of these recipes for a crowd will serve anywhere from fifty to one hundred hungry guests. For some unusual summer salads try this Thai green mango salad or a ginger-glazed salmon salad. Another idea is to wow your guests by combining salad ingredients that you might not normally use such as broccoli and orzo. For some tips on making salads that win rave reviews read and follow these simple directions. It’s all about buying fresh, in-season fruits and vegetables, adding interesting and tasty items to spice things up and then adding a tangy or sweet dressing that is just right for the dish. I hope you enjoy many yummy salads this summer season and that you try some new ones as well as enjoying old favorites.